Season the salmon fillets with lemon pepper, garlic powder and salt. In a small bowl, combine soy sauce, brown sugar, water and vegetable oil until sugar is dissolved. Place fish in a large plastic bag with zipper with soy sauce mixture, seal and turn to coat. Chill for at least 2 hours. 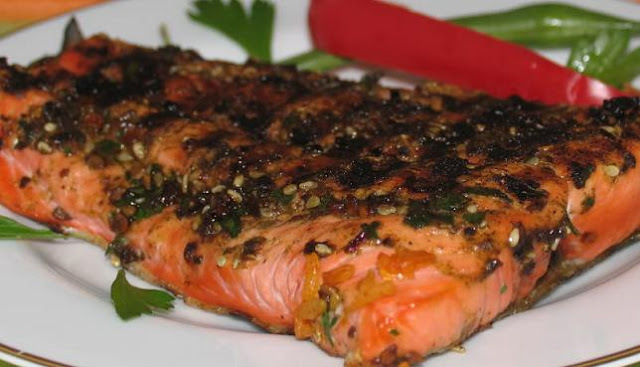 Cook the salmon for 6-8 minutes per side or until fish flakes easily with a fork.